If it wasn't for Ma Dong-seok, 'Seong-cheol' would have been impossible. 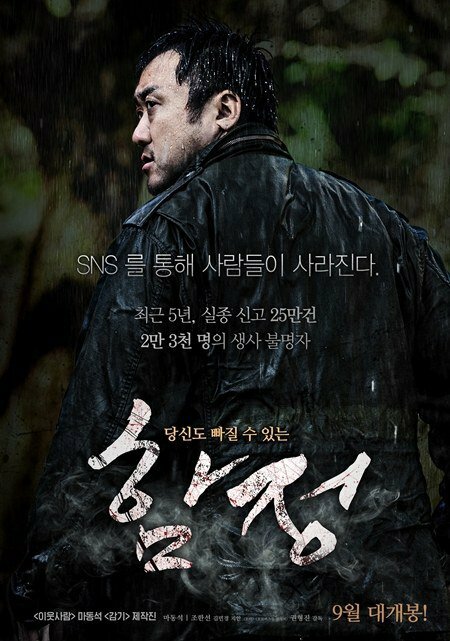 Ma Dong-seok from the movie "Deep Trap" broke the nickname 'Ma-yomi' at once. The premiere of "Deep Trap" was held with high expectations on the 26th. Ma Dong-seok is a big guy with a muscular frame and beady eyes when looking at his opponent. It was like Ma-yomi and Woong-cheol from "Bad Guys". Joon-sik (Jo Han-sun) and So-yeon (Kim Min-kyung-III) had a miscarriage 2 years ago and were anxious because they couldn't conceive again after that. They got into contact with Seong-cheol on SNS and headed for a Sanmaru, a restaurant that's not even on the navigation. The restaurant had an eerie air about it. The restaurant owner Seong-cheol was too kind and polite for his size but was abusive and aggressive to Min-hee (Ji An) who he lived with. Min-hee acts indifferently to his actions and serves the customers. Out of courtesy, the couple stay in the restaurant overnight. However, they can't leave the next day either and weird things begin to happen to the married couple. "Deep Trap" is not a horror fantasy but it's about something that can easily happen in our everyday lives. The motive of the movie is based on an actual SNS crime. Ma Dong-seok is creepy In the movie. Ma Dong-seok and Jo Han-sun's confrontation is intense. Ma Dong-seok was a former UFC trainer and Jo Han-sun was a soccer player. Seong-cheol grabs anything within his reach and attacks to kill. Jo Han-sun made his first comeback in 5 years and he did his best. Kim Min-kyung-III's first screen attempt and Ji An's deaf and blind act was a great collaboration too. "Deep Trap" is based on an actual SNS crime but it's too bad the reason why Seong-cheol kills people wasn't explained. However, Ma Dong-seok's performance is worth watching. Meanwhile, "Deep Trap" is a thriller that's coming out on the 10th of September.